サンノゼ – ホステル サンノゼ. 地図 サンノゼ, すべてのホステルの写真とレビュー サンノゼ. 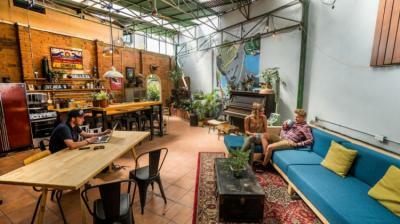 First backpackers hostel in Costa Rica. We are independent and locally run, and as such you will get the personal touch not found in big chain hostels. We opened our doors in 2001, and have been the number one meeting spot in the San Jose ever since. A real slice of paradise in the heart of San Jose. The hostel is located at just 50mts from the actual president residence, and also the best neighbordhood in all over San Jose, the downtown is just at 20 min walk from us, and additional, all the area around is full of stores and supermarkets close by. I love the relaxing vibes of this place. After exploring the city, a quick dip at the pool is so refreshing. Just walking distance from the shopping street, and very kind and friendly staff. 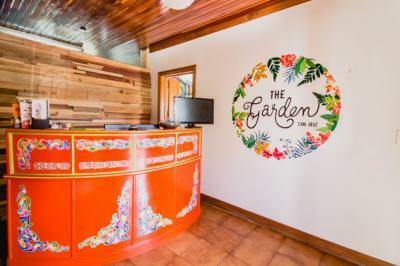 This centrally located hostel offers comfy beds, clean facilities, nice pool, hammocks, and other cool travelers (like me! LOL). I definitely recommend staying here. A little bit of a walk from the center but in a very nice neighborhood. The hostel provides a well-equipped kitchen in case you want to showcase your culinary skills. Good wifi to get some work done especially if you're a digital nomad. Staff are awesome and informative. We enjoyed our stay and would stay again. Great value for money and fantastic breakfast. The staff is really nice and there are always people hanging in the common area. What a lovely hostel. The staff was very friendly and the decoration was beautiful. 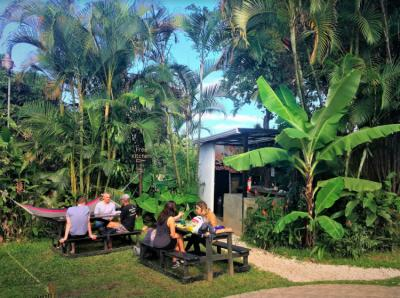 This hostel is one of the nicest hostel in Costa Rica. Very nice dorms and private rooms. 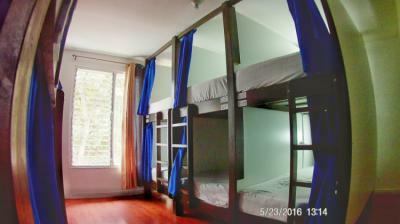 The hostel is near the city center, near the main street, parks and museums. The staff is always willing to help. Great breakfast although I would recommend to include it in the price. I like the layout of this hostel, you get a homey relaxed feel to it. Great music and vibe in the restaurant with great eclectic décor and artworks.